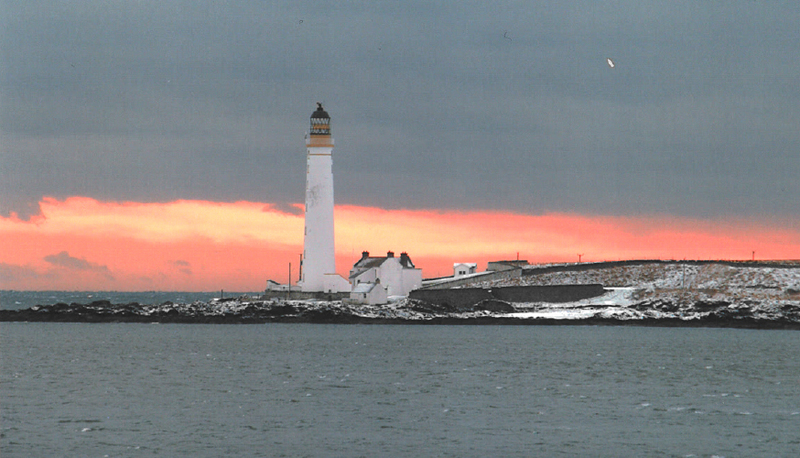 For close on one hundred and fifty years, Scurdie Ness Lighthouse has stood sentinel as a fixed aid to navigation at the mouth of the River South Esk, guiding mariners safely past the shoals and rocky shoreline of the north Angus and Mearns coast. A petition from 74 local inhabitants in November 1860 complained that both strangers and regular users of the port, while running for shelter in rough weather, had difficulty in seeing the Leading Lights over Scurdie Ness; especially when approaching from the south. Likewise, the rocks in that vicinity were not easily discernible from the north and north-east. By 1862 the Harbour Trustees contacted the Northern Lighthouse Board who instructed their engineers to inspect a site for a high light. 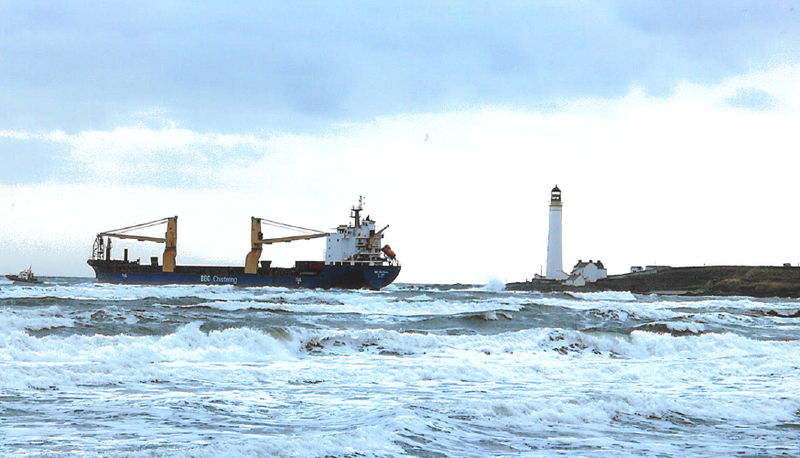 A further petition signed by 441 persons from Montrose, Ferryden, Aberdeen, Arbroath and Dundee demanded a light on the rocky promontory of Scurdie Ness. The matter was eventually referred to Trinity House and the Board of Trade, with a lighthouse being agreed after the submission of the Hamilton Report. Such a light would fill a “fifteen-mile gate” between the Bell Rock and Girdleness Lighthouse at the entrance of Aberdeen harbour. Eventually, as a result of a protracted period of lobbying by the seafaring communities of Montrose, Ferryden and beyond, the relevant authorities agreed to construct an appropriate light and tower as a warning to mariners sailing along or towards this part of Scotland’s east coast. David and Thomas Stevenson, resident engineers of the Northern Lighthouse Board, were commissioned to build such a structure. Research shows pale-coloured bricks were brought round by ship from Alloa on the upper reaches of the River Forth, one such vessel being named Jade. Work was completed by early 1870 and the lamp was duly lit at 1800 hours on Tuesday, March 1st of that year. Reports at that time described the event as having been witnessed by large crowds of people gathered on the Links and adjoining Sands. In addition, candles were lit in many of the houses the length of Ferryden village. The brick-built lighthouse stands on a stone base reported to have been cut from a quarry at Benholm, slightly north-west of the coastal settlement of Johnshaven. Surplus bricks were used to create several homes in Ferryden, with the property still known today as “Brick House” - so no surprises there! Candlepower of the lantern is given as 182,000 and on a clear night can be observed from a distance of 42 kilometres. The lighting equipment was fully automated in 1987. A tremendous view can be had from the top of the tower and, it is reputed, that Berwick-upon-Tweed can be seen given the right set of weather conditions. Some of the more isolated lighthouses were prone to requiring more work by their keepers during World War Two. Apparently Scurdie Ness was only illuminated when requested to do so by the Royal Navy and painted black to prevent the Luftwaffe using it as a day marker.